James Beard, Julia Child, Joyce Chen, Edna Lewis and Felipe Rojas-Lombardi were all renowned chefs and culinary innovators, but on September 26 they’ll become something else entirely: stamps. Stamp commemoration: It’s been an honor bestowed on great Americans like Theodore Roosevelt, Bugs Bunny and the poinsettia. It was only a matter of time before the USPS decided to take on the food craze. You can send mail with wedding cake stamps, so why not feature the people who bake them? 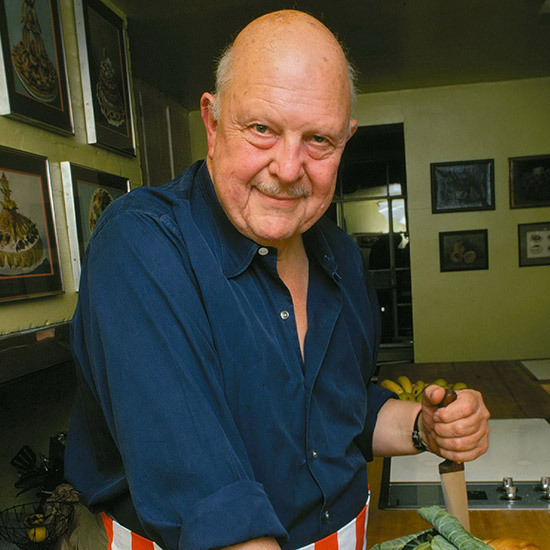 The United States Postal Service previewed the artwork for this new collection—dubbed Celebrity Chefs—by posting the James Beard stamp on its official blog. The other imagery will be released on social media in the weeks leading up to the official stamp release date on September 26. Though the information on the other four chefs has been removed from the USPS website, Linns.com caught the apparent oversight and let the cat out of the bag. We’re thankful that stamps no longer have to be licked before use. That disgusting stamp glue flavor is probably not a taste any of these chefs would want to leave in your mouth.